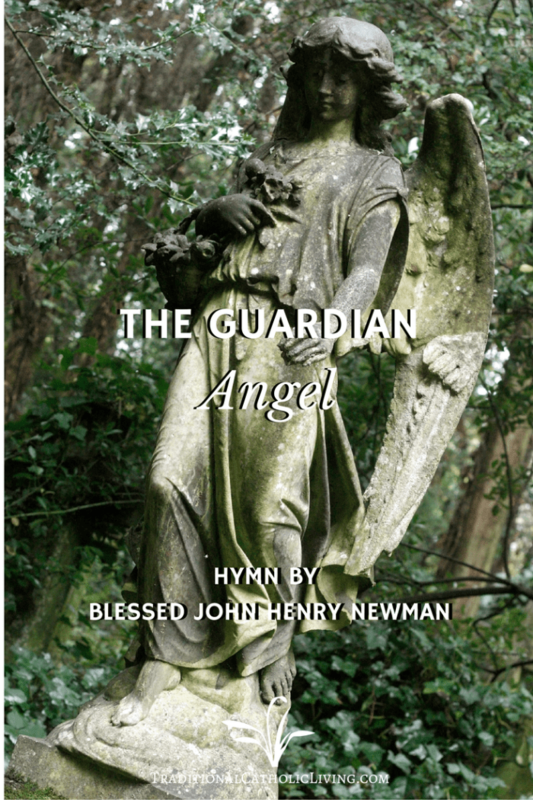 Blessed John Henry Cardinal Newman wrote a poem to his Guardian Angel, and it is full of Catholic teachings on guardian angels and the Christian way of life. Beginning with Baptism, the poem continues to the reality of Purgatory, and the glorious entrance into Heaven. 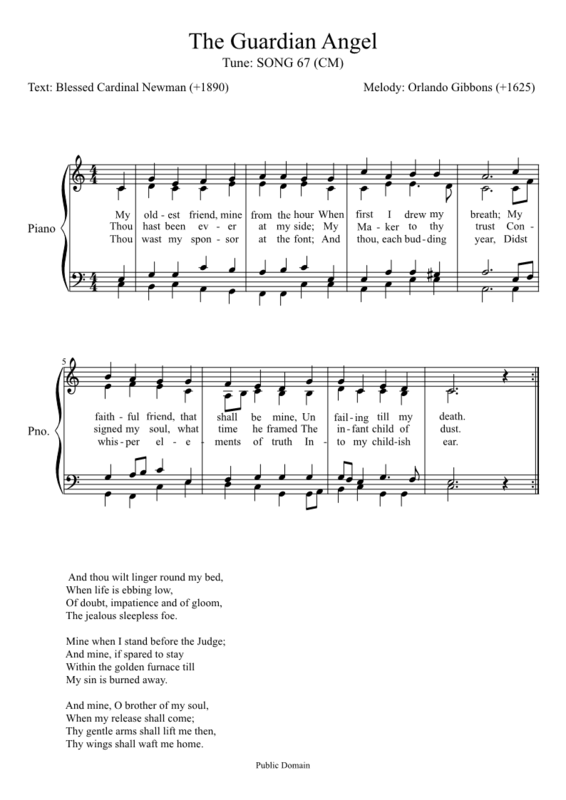 I assigned a hymn tune to the poem, so it can be sung and prayed. My sin is burned away. Thy wings shall waft me home.